Home :: Mikrotik Switches :: Mikrotik Cloud Router Switch CRS125-24G-1S-IN complete 1 SFP port plus 24 port 10/100/1000 layer 3 switch and router assembled with case and power supply - New! Mikrotik's CRS125-24G-1S-IN supports any 1.25G SFP transceiver that is within the SFF Committee specifications for SFP Transceivers. 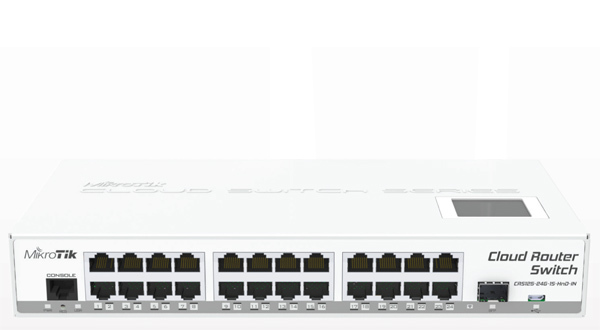 CRS125-24G-1S doesn’t have hardware support for PON (Passive Optical Network) - this hardware support MUST be implemented on SFP transceiver itself. Note that the SFP transceiver is NOT included.